In Jack Johnson’s (yes, that Jack Johnson) first surf film Thicker Than Water (2000) him and his film making partner Chris Malloy made use of two ethnographic recordings neither of which appear on the film’s official soundtrack. One is “Prettiest Train” a field recording made by Alan Lomax at Camp B, Parchman Farm (Mississippi State Penitentiary) and the other is “Ei Reka E” sung by The Tahitian Choir. To my young ears both were shockingly powerful, but the Tahitian Choir produced not only an emotion completely foreign to me but also a sound. It’s a sound and emotion that perfectly convey the culture and landscape that the natives of Polynesia call home. It’s beautiful, it’s powerful, and just by listening to it you can visualize the green volcanic mountains thrust out of the vast Pacific Ocean, the colorful reefs, the blue lagoons and white sand beaches. It’s a music that captures everything that traditional music should: an existence. Forever inspired by that one song, this sample pack features a very special collection made available by the University of Auckland Libraries in New Zealand: The Music of Samoa. 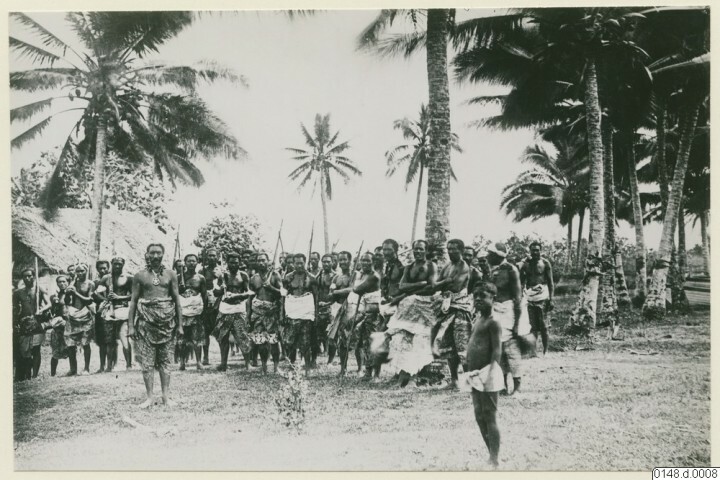 The majority of the audio material in this collection was recorded by Richard Moyle, the former Director of the Centre for Pacific Studies at the University of Auckland. The field recordings were made in Manua (American Samoa) and Western Samoa (now Samoa) between 1966 and 1969. The collection currently represents the only known survey of traditional Samoan music, comprehensive in both musical scope and geography. Anyone familiar to this type of traditional music knows that it’s heavily reliant on voice as lead instrument. The melodies, overtones and rhythms are very unique to the Pacific region. If you’re interested in the specific musical elements and distinctions between styles you can check out this paper by Mervyn McLean. The entire collection features over 600 recordings released under a Creative Commons BY-NC license. The University of Auckland have made a small selection available for download exclusively for this sample pack. Remember though, these recordings are of a people and a culture and it should be treated with respect. We trust that you’ll use the material in a way that pays homage to this beautiful material. Download the Sample Pack here. Tala’aga Recorded between May 1-13, 1969 on Sili Savaii, Savai’i, Samoa. You can read the song text here. Fa’atōfā Recorded between 1966-1969 on Samata, Savai’i, Samoa. Lyrics available here. id/91849 – Recorded in January 1967 on the island of Ofu, Manu’a, American Samoa. Tala’aga v2– Recorded between 6-19 August, 1968 on the island of Fagae’e, Savai’i, Samoa. Lyrics are available here. Vi’i o le vai – Recorded between 1-13 November, 1968 on the island of Sili Savaii, Savai’i, Samoa. Lyrics available here. Laulau siva – Recorded between 4-13 November, 1968 on the island of Sili Savaii, Savai’i, Samoa. Lyrics available here. Sa’afiafiga – Recorded between 1966-1969 on the island of Lalomanu, Upolu, Samoa. Aumoega – Recorded between 1966-1969 on the island of Samata, Savai’i, Samoa. Lyrics available here. id/91647 – Recorded in 1967 on the island of Ofu, Manu’a, American Samoa.